Today's recipe is so simple I'm currently thinking why I even bothered to write a recipe for this in the first place! Tomato curry is a dish that my grandmother makes all the time as an accompaniment to lamb curry but I'd be lying if I said I have never drowned a plate of rice in this curry and nothing else. Also, my tastebuds have become too accustomed to sugary, preservative infested breakfast bars so having something like this feels cleansing- and everyone needs to feel like they're doing something their body approves of for once! I do add the optional step of a tharka because I like the smoky flavour of fried garlic against the sharp tang of tomatoes. Think of this recipe as an "inspired" twist rather than an original. If you think tharka is too challenging, just add the ingredients in with the onions! 1) Heat a large pan on a medium heat and soften the onions in vegetable oil. Speed up the process by adding salt. 2) Add the green chillies and remaining spices to the onions and stir- it's important that the powders don't burn! Cook for 5 minutes. 3) Add the tomatoes and paprika and let the curry cook until the tomatoes are pulpy and easy to squash. 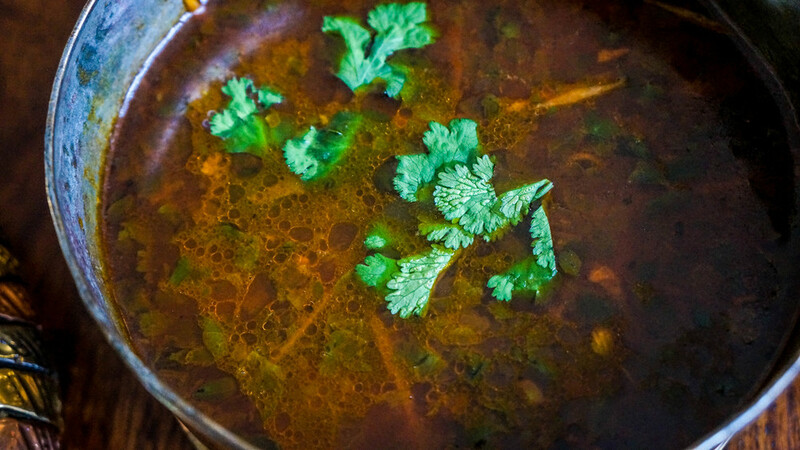 4) Pour in the water and allow the curry to simmer and thicken for at least 10 to 15 minutes. 5) While the curry is simmering, fry off the garlic, chilli and panch puran in a frying pan. Pour the tharka into the curry pan, along with the oil. It should fizz as the oil hits the water. 5) Add a small handful of fresh chopped coriander and serve either with basmati rice or toasted naan bread. Note: This does not have to be a spicy curry and if you want to appreciate the flavours without being overwhelmed, you could skip frying the chilli and just let them boil in the curry instead. Alternatively you could cut it out altogether. The perfect prawn dish for any occasion!